Please note: Returns of items bought on Amazon or Ebay can only be processed by our mail order department and cannot be accepted in store. You can return any item purchased online for an exchange or refund within 14 days of delivery if you are not completely satisfied with it. Returned items must be returned to us unworn and in the original condition you received it from us and accompanied by the invoice. We will assume your order is cancelled and we will refund the full amount to you or give you an exchange as required. Millars SHoe Store will issue a full refund to the card used for the purchase less the original delivery charge. 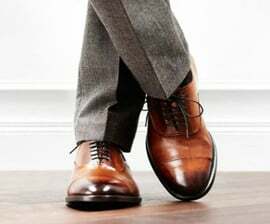 If you would rather have replacement goods, Millars Shoe Store can arrange for delivery to you; this constitutes a separate contract between you and Millars Shoe Store. We advise you to send your shoes back via a recorded post service and get a proof of postage as we cannot be held liable for any goods lost in transit to us. The items are your responsibility until they reach our warehouse or shop. This will ensure that you will receive a full refund even if your goods are mislaid in the post. Please tell us why you are returning your item(s) to help us to improve our service and goods in the future. We endeavor to process postal return refunds/exchanges as soon as possible, but please allow 10 working days to be credited in your account. We will refund the delivery charge only if the goods are damaged, faulty or sent incorrectly by us. On returned goods we will refund the amount paid. Alternatively, if you wish to return or exchange your shoes you can take them, with your invoice, into Millars Shoe Store, where we will be happy to accept the goods. Please be aware that your refund will not be processed in store as your information will be forwarded to the relevant department. This process may take up to 8-10 working days. If items are exchanged in store, please be aware that our store policy will apply. The exchanged items are non refundable and you will have 14 days to exchange or claim a credit note. We will accept items not worn, used or damaged.